Located on TX-249 just off TX-249 Access Rd and Spring Cypress Plaza Dr, Extra Space Storage serves Houston residents near Kohrville, Louetta, Cypress, and more. Locals will recognize our facility next to Los Cucos Mexican Cafe south of Spring Cypress Village shopping center. Extra Space Storage on TX-249 offers a wide range of storage units, exceptional security, climate-controlled storage, and vehicle storage. We're the self storage partner you can trust in Houston! No matter what you plan to store, our Houston storage facility has the space that will work for you! Units range in size from 5x5 to 10x50 with indoor access, first-floor access, and drive-up access. We're dedicated to your safety. That's why our TX-249 storage facility utilizes security measures like an on-site resident manager, 24-hour video surveillance, and electronic gate access. Keep sensitive items safe from the Texas weather in a climate-controlled unit! These units stay between 55 and 80 degrees year-round, protecting your belongings from extreme heat, humidity, and cold. Looking for secure vehicle storage in Houston? Extra Space Storage offers enclosed drive-up units and outdoor parking spaces to accommodate everything from cars and motorcycles to boats and RVs. Not only does Extra Space Storage maintain a clean, secure facility at all times, but our customer service team is the best in the industry! We work hard to ensure you're satisfied with your self storage experience, and we're more than happy to provide assistance whenever you need it. 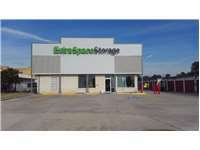 Contact us today to reserve a storage unit in Houston! Staff was helpful was willing to help me get everything I was looking for. Took me step by step help me get everything I was looking for! Thanks guys!! Customer focus is extremely important in meeting the needs of travelers such as myself. The process was timely and worry free, outstanding service. Great friendly service and moving supplies too! Drive south on TX-249. Take the exit for Jones Rd/Louetta Rd. Merge onto TX-249 Access Rd/Tomball Pkwy and keep left. Turn left under the bridge and continue north on TX-249 Access Rd/Tomball Pkwy. Our facility will be on your right after Rick Austin Automotive. Drive north on TX-249. Take the exit for Jones Rd/Louetta Rd. Merge onto TX-249 Access Rd/Tomball Pkwy and continue north. Our facility will be on your right after Rick Austin Automotive. Drive west on Louetta Rd. Turn right onto TX-249 Access Rd/Tomball Pkwy. Our facility will be on your right after Rick Austin Automotive. Drive east on Louetta Rd. Turn left onto Jones Rd. Turn left onto TX-249 Access Rd/Tomball Pkwy. Our facility will be on your right after Rick Austin Automotive.